I say you have some pretty cute kiddos!! Love it! I could totally see my girls doing the same thing. I love the angle on the picture too. Thank you! It helps to have such great subjects. My girls would love to join in, I’m sure. 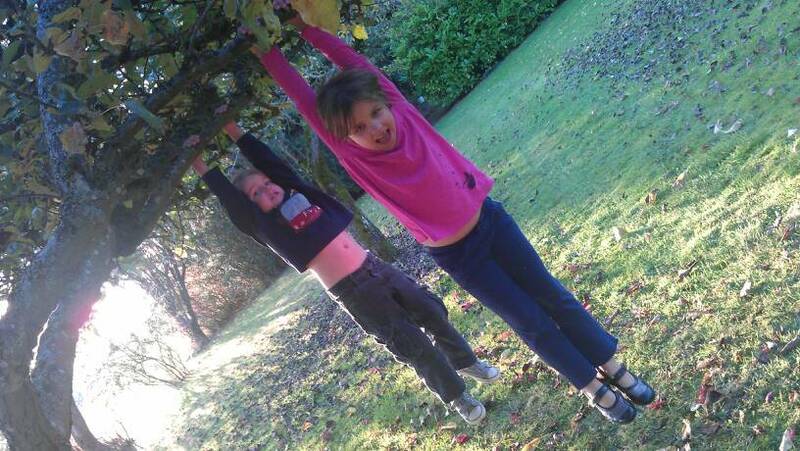 We have a branch hanging off our tree the girls like to swing on. I had to lift them up on to the branch, but they kept asking to do it again and again. Kids are silly!